The extended sangha of the New Orleans Zen Temple will celebrate the 80th birthday of Robert Livingston Roshi and the 30th anniversary of the New Orleans Zen Temple with a Winter Sesshin, January 26-27, 2013. The sesshin will begin with zazen at 8:00 am on Saturday, followed by samu and the regular sesshin schedule through the evening. It will continue with zazen at 8:00 am on Sunday and conclude at lunchtime. The party in honor of Robert’s birthday and the Temple’s anniversary will begin at 1:00 pm on Sunday and will include food, drink, and music. Guests are welcome to stay overnight. Please make your reservations or send your good wishes to info@nozt.org. Guests should indicate whether they will attend part of the sesshin, all of the sesshin, or only the party. Also, if you have memories of Robert and/or the Temple that you would like to share, please send them to Richard Collins at taisenreishin@gmail.com. Richard will be putting together writings and photographs to commemorate the occasion. 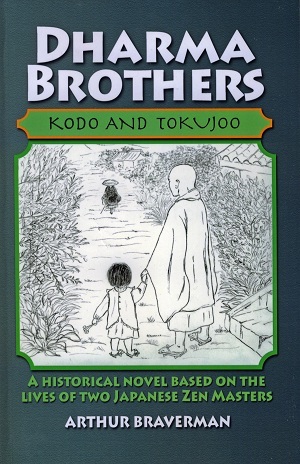 Dharma Brothers: Kodo and Tokujoo. A Historical Novel Based on the Lives of Two Japanese Zen Masters. By Arthur Braverman. Ojai, CA: Taormina Books, 2011. 581 pp. Available at Amazon.com: $21.50 paperback; $6.99 digital. When I began reading Arthur Braverman’s novel Dharma Brothers: Kodo and Tokujoo, “a historical novel based on the lives of two Japanese masters,” I was interested primarily in the story of Kodo Sawaki. I was a little disappointed that I would have to be patient with the intrusion of the story of another monk, Kozan Kato (Tokujoo). A glance at the five-book structure of the novel suggested that it would begin by alternating their parallel stories, bringing them together in later parts of the almost 600 pages of the book. I dove headlong into Book I, which tells of Kodo Sawaki’s childhood through his time as a soldier, first in the Russo-Japanese and then in the First World War. This is what I had come for, to hear more about the charismatic Homeless Kodo, my dharma great-grandfather (my teacher’s teacher’s teacher). 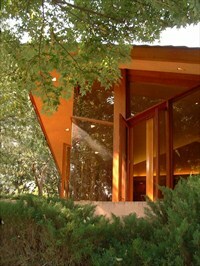 I had more than once read and recommended Braverman’s earlier book, Living and Dying in Zazen (Weatherhill, 2003), a group portrait told in the form of a memoir about the author’s travels in search of material on five Zen masters of modern Japan, including the two friends depicted in his current novel. Living and Dying in Zazen remains one of my favorite books on Zen practice because of its clear focus on the centrality of zazen and its ability, in the words of Braverman’s teacher Kosho Uchiyama, “to eradicate the exotic and the mystic from Zen practice and show us that Zen was life in the world—but with a greater degree of sanity.” This same no-nonsense clarity applies whether the portraits focus on a leaf-blowing monk in a public park (Sodo Yokoyama), an irascible itinerant scholarly maverick (Kodo Sawaki), a homeleaving family man (Kozan Kato, aka Tokujoo), a woman who was sought out as a Zen teacher at a time when that was unusual (Motoko Ikebe), or Kodo Sawaki’s disciple, Antaiji’s abbot, and Braverman’s teacher (Kosho Uchiyama). Dharma Brothers reminded me of another book I read early and often, Hesse’s Siddhartha. I wrote to Arthur Braverman to tell him this and to say that it reminded me, too, of Narcissus and Goldmund, Hesse’s novel about two medieval Christian monks and their lifelong friendship. He wrote back to say: “I too was moved greatly by Siddhartha and it was one of the reasons I wanted to tell the story as a novel….when I started the novel I took Narcissus and Goldmund out of the library to see once more how Hesse dealt with friends--or two parts of one person's psyche.” Braverman’s novel is less romanticized and less lyrical than Hesse’s—for good reason: after all, this is an historical novel not a parable. Dharma Brothers is a Siddhartha for grownups. Much of what happens to Kodo Sawaki as a child echoes the adventures of picaresque antiheroes like Lazarillo de Tormes. Orphaned and bounced from foster homes to monasteries, temples and the army, Kodo has to deal with abusive guardians, gamblers and whores, tricksters and cynical monks. In Braverman’s hands, the depiction is less harsh than in picaresque works, less naturalistic and more realistic. Caricature gives way to the portrayal of complex human beings. Leaving Kodo’s story in Book II, I was pleasantly surprised. Not only did I like Tokujoo (a name given to Kozan Kato by an early teacher) but in the end I came to feel what Kodo himself felt for Kato—affection and friendship. Try as he might to run from his destiny—and he does try by running away from teachers and monasteries of several sects repeatedly—Tokujoo finally runs straight into his destiny through directed koan practice with his master Kumoshitsu. Time after time Tokujoo abandons his responsibilities with the excuse that he is not ready for this or that position of responsibility in a temple because he has limited insight—only to be saddled with another set of responsibilities in his next situation. Each time he runs away he acknowledges that he might have been selfish last time he abandoned his duty, but this time he is following a higher path. These are, perhaps, examples of bonno soku bodai, finding wisdom through delusion. The final koan he is assigned has to do with the story (ascribed variously to Hunan and Hakuin) about a girl who lies that a monk has impregnated her. The monk raises the child without revealing the lie. How Tokujoo wrestles with this koan provides his breakthrough in Book IV. Given the koan of the old woman who burns down a monk’s hut because he turns down the advances of a young woman, Tokujoo discovers that his own path is the paradoxical one of householder-monk. Unlike Kodo, whose purist path leads him to reestablish the ancient practice of shikantaza (just sitting), Tukujoo is a modern monk whose path meanders through both koan practice and shikantaza, ending in a combination of the two that reflects his dual vocations of Zen priest and family man. His breakthrough is described as vividly as Siddhartha’s climactic realization at the river. In the end, while I respect and appreciate the Kodo Sawaki newly humanized in Braverman’s portrayal, I have a newfound friend to admire in the character of Tokujoo, who is, I suppose, given that he is Kodo’s dharma “brother,” my dharma great-granduncle. If Kodo is the intellectual monastic who fancies himself iconoclastic, the avuncular Tokujoo is the monk who appears to be a failure by some definitions and yet has the broader experience not only of Zen practice but also of life as it is lived by most of us, a true bodhisattva living in the world. That the two monks come to a mutual respect shows the capaciousness of Zen in the real world, even as some in our midst would narrow the path from monastic training to Zen teaching. Being introduced to these modest figures, for the most part footnotes in the official history of Japanese Zen, we are reminded that this is where true Zen occurs—not necessarily in the big practice centers that proselytize in the glossy ads of Tricycle and Shambhala Sun; not in the expensive seminars and pricey online dokusan chatrooms; not in the presence of big-name roshis and their disciples jostling for dharma transmission; and not in the debates about whether to establish some sort of Zen teacher accreditation system, which one of my students dubbed “No Monk Left Behind.” By introducing us to these largely unknown Zen teachers, Braverman reminds us that true Zen practice is not big business; it is the biggest business, the business of living and dying in zazen. The Zen Fellowship of Bakersfield will host a Day of Zen, December 15, at the George and Millie Ablin House designed by Frank Lloyd Wright, from 6 am to 6 pm. The Day of Zen is a short sesshin, a term that means “to touch the mind.” This is an excellent opportunity to practice sitting concentration, silence, and reflection in a beautiful and architecturally significant setting. The Day of Zen will be led by Richard Collins, a Zen monk and teacher in the lineage of Taisen Deshimaru and Kodo Sawaki. A $30 donation includes breakfast, lunch, and dinner. Contact us to reserve a space. You have not completed a transaction. Email the treasurer from the "Contact" page regarding any questions you might have.